This salad is delicious for breakfast, lunch, or dinner. 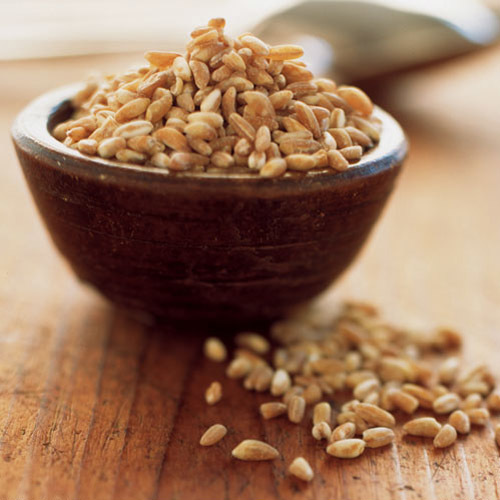 It’s easy to make (particularly if you have cooked farro on hand), healthy, and satisfying. In place of the broccoli rabe, try roasted broccoli or cauliflower. Or prepare the salad without the eggs and add a handful of tiny cubes of aged or fresh pecorino. This recipe is excerpted from Salad for Dinner. Read our review. Bring a medium pot of water (about 2-1⁄2 quarts) to a boil. Season with a generous amount of salt—it should taste almost like seawater. Add the farro, reduce the heat to maintain a low boil, and cook until tender, 20 to 25 minutes. Drain well and spread on a baking sheet to cool at room temperature. Trim the stems of the broccoli rabe. The stems should be tender and crisp, and not at all woody; trim off as much as necessary. 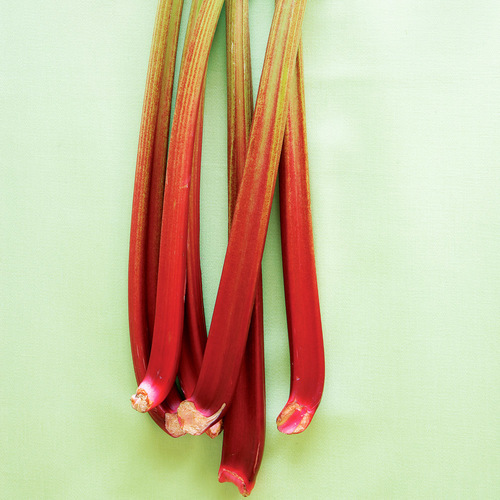 Cut the remaining stems crosswise into 1⁄2-inch segments, and slice the leafy greens into about 1-inch-wide ribbons. 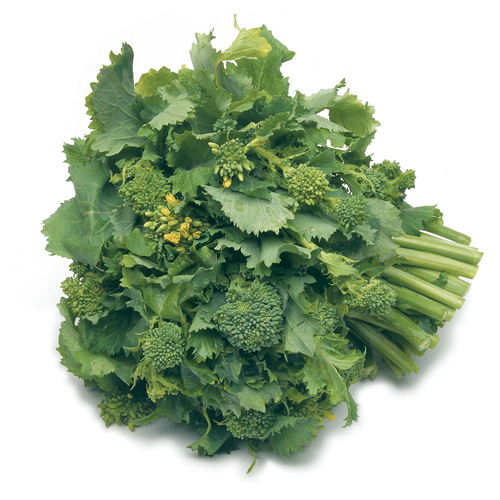 Wash and drain the broccoli rabe, but leave a good amount of water clinging to the leaves. Warm a large sauté pan over medium-high heat. Add 2 Tbs. olive oil, swirl to coat the pan, and add the broccoli rabe in large handfuls. When the rabe has wilted, season it with salt, reduce the heat to medium, and cook, stirring occasionally, until tender. The residual water from washing should be enough to cook the rabe, but if the pan dries out before it is cooked, add a splash more water as necessary. The cooking time will vary depending on the texture of the greens; tender broccoli rabe will cook in about 4 minutes; more fibrous rabe can take up to 12 minutes. When the broccoli rabe is done, push it to the side to clear a space in the center of the pan, add 1 Tbs. of the oil and the garlic, and sauté just until you smell the garlic, about 1 minute. 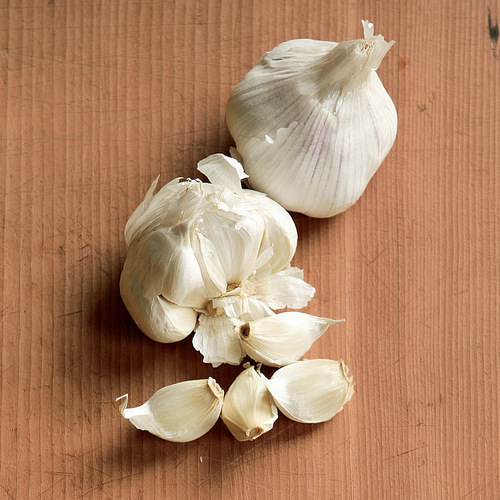 (The garlic tastes best if it sautés quickly, directly on the pan, rather than on the greens.) Stir the broccoli rabe into the garlic and remove from the heat. Put the farro and broccoli rabe in a large work bowl. Put 1-1⁄2 Tbs. of the vinegar in a small bowl and season with salt. Whisk in the remaining 1⁄4 cup olive oil. 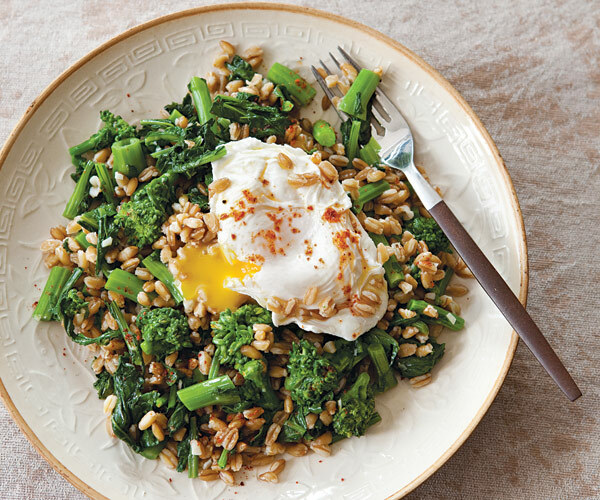 Drizzle the vinaigrette on the farro and broccoli rabe, and stir gently to combine. Taste and adjust the seasoning with more salt or vinegar if necessary. Set aside at room temperature. Stir the farro once more and spoon into shallow serving bowls. Prop 1 or 2 eggs next to the farro. Drizzle a thin stream of olive oil on top. Using a fork, gently pierce one side of the yolk and fold back the thin egg white to expose the runny yolk. Season with salt, and sprinkle the entire dish with Aleppo pepper. Serve immediately. Sauté bacon or pancetta and add to the salad or drape prosciutto on the finished plate. If you’re serving the salad for company, make the farro on the day of the meal and hold at room temperature before combining with the other ingredients for the salad. Made this with oven roasted cauliflower. Super yummy! And so easy. Makes for a very quick weekday meal and I always seem to have these ingredients on hand. Delicious! I was surprised by how addictive this dish was -- after dinner I was scraping the bowl to get the last bits. I made it as written and my broccoli rabe was quite bitter so the bites with egg were the best; next time I might make one or two extra eggs. (I had three poached eggs for two of us.) I also didn't cool the farro or the broccoli rabe, just threw everything into the salad bowl as it was ready and the final temp was warm which worked well. Easy, healthy, and good!